Response: We know that tobacco smoking produces more than 70 carcinogens and is associated with worse prognosis in many solid cancers. 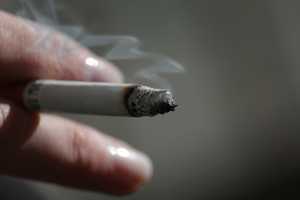 Although the association between cigarette smoking and prostate cancer death has been demonstrated, such association regarding other end points is still unclear. We evaluated different disease endpoints, such as recurrence, occurrence of metastasis and cancer-specific mortality at an earlier stage of disease. We found that smokers who underwent primary treatment for localized prostate cancer – such as radical prostatectomy and radiotherapy – are at increased risk of recurrence, metastasis and cancer-specific mortality. Response: Cancer diagnosis, even when it is not strongly associated with tobacco smoking, is a teachable moment for patients to quit smoking. We should be hypervigilant about urging patients to quit smoking at diagnosis. In fact, smoking, as one of the few modifiable risk factors, seems to have positive impact on outcomes. Response: This study was based on observational studies with certain limitations due to their retrospective nature. We encourage researcher in this field to pay attention in collecting and reporting detailed smoking history. Similarly, the impact of smoking should be evaluated in a prospective manner. Response: We hope that this article fall into the hand of policy makers to implement more legislations and regulations to increase the awareness of the benefits of smoking cessation and smoking prohibition laws. It is on patients’ level only, but also it will lower the burden on health care systems. Prostate cancer is the most common cancer in men and well-known to have protracted course where smokers might pose more impact on health care for longer duration. Indeed, this topic is a matter of debate in Austria after the parliament has failed to turn “smoking prohibition in gastronomy” bill in to a law. We declared no competing conflict of interest. This entry was posted in Author Interviews, JAMA and tagged cancer, medical research, prostate cancer, smoking, tobacco by Marie Benz MD FAAD. Bookmark the permalink.